The recent gyrations in the price of gold and other precious metals make it important to consider not only whether to hold precious metals in your IRA but also what type to hold. 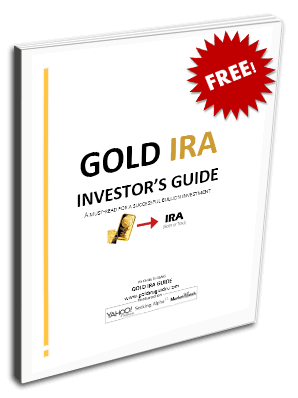 While a standard IRA will generally allow only precious metals mutual funds, stock in mining companies, and precious metals ETFs to be held, a Gold IRA allows you to hold physical precious metals as well. Both types of holdings, physical and so-called paper precious metals have different characteristics, making it important to understand the different factors which drive their performance when it comes time to decide which type to hold in your IRA. Individual precious metals stocks, precious metals mutual funds, and EFTs have the advantage of being highly liquid vehicles for the mot part. In some cases they can also provide leverage to the price of the metal they are tied to, typically gold and silver. However, these types of securities, while linked to precious metals, are also traded on stock or futures exchanges and are therefore subject to move at times in concert with other financial assets more than the metal they are linked to. This is one reason that physical precious metals, such as gold and silver coins and bullion, may trade at a premium to paper precious metals, as the physical may not be perceived as being as subject to price fluctuations based upon non-fundamental drivers. In addition, paper precious metals carry counterparty risk that the physical does not. Counterparty risk relates not to the risk of the security or asset itself, but to the risk that the party which is on the other side of a transaction involving that asset should fail to deliver on its promises. This happens, for instance, when a firm goes bankrupt or defaults. While there are insurance programs to protect against this in certain types of cases, this does not hold true for every type of security or asset, nor does it guard against the risk that the paper system as a whole seizes up, however unlikely that may be. Thus, while paper precious metals have some advantages when it comes to liquidity and leverage over physical precious metals, they are subject to price fluctuations at times which may not be fundamentally driven, and to counterparty risk. As a result, many investors prefer to have at least some physical precious metals among their IRA holdings. The lack of counterparty risk, as mentioned above, is one reason investors may want to consider holding physical precious metals. Even with the recent decline in the gold price, the popularity of physical has been seen in the increased buying gold, silver, and other precious metals dealers have seen across the world. This influx of buying has driven the premiums over the spot price that investors must pay to acquire precious metals dramatically higher. While the drop in the gold price, giving buyers the chance to purchase gold and silver as well at what they may see as bargain prices is likely one reason for the increased interest in buying, another reason may have to do with the financial crisis. With the small EU country Cyprus recently “bailing-in” its banks and imposing stiff losses on holders of large sums in those banks, the appeal of owning assets such as precious metals which avoid counterparty risk may be seen to be more attractive as a result. If you choose to hold precious metals in your IRA there is no hard and fast answer as to which type will be best for you. However, given the benefits of holding physical precious metals as outlined above, placing at least a portion of your precious metals holdings in physical assets of this type may be worth considering.